Traversing tough, rugged terrain, the Wolverine is the most capable, value-packed Side-by-Side for your next adventure. 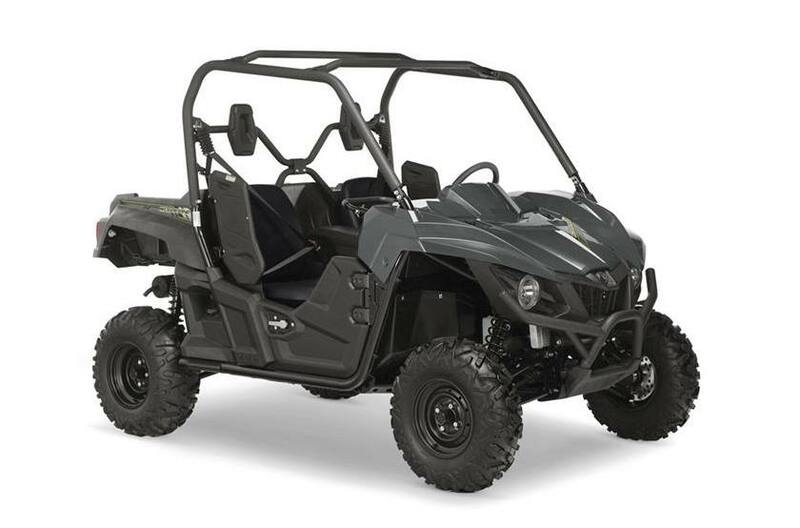 Off-Road Capability and Awesome Value: The Wolverine® features an aggressive, compact look and is designed to provide the best blend of capability and value in the side-by-side segment, thanks to Yamaha’s blend of suspension, handling, drivetrain and chassis components working together to give you the ability to traverse rough terrain with confidence and comfort. Independent Double Wishbone Suspension: Wolverine features a class-leading four-wheel independent suspension with long-stroke KYB® shocks that provide quality damping feel, reliable bottoming resistance, and preload adjustability to handle a wide range of riding styles, loads and terrain. Cutting-Edge DOHC Engine: The Wolverine is powered by Yamaha’s newest and most advanced 700-class engine ever, with dual overhead cams and fuel injection. The 708cc engine's power character is optimized for smooth, linear, power delivery to tackle both open trails and more technical terrain. Yamaha’s Unique Ultramatic® CVT: Yamaha’s Ultramatic® continuously variable transmission (CVT) provides smooth power delivery, dependable all-wheel engine braking and incredibly reliable operation, for worry-free performance at work - or at play. On Command® Four Wheel Drive: Wolverine features On-Command®, the industry’s most capable four wheel drive system. With a simple twist of the dial, drivers choose 2-wheel drive, 4-wheel limited slip, or 4-wheel full differential lock, enabling the Wolverine to claw its way through just about anything. 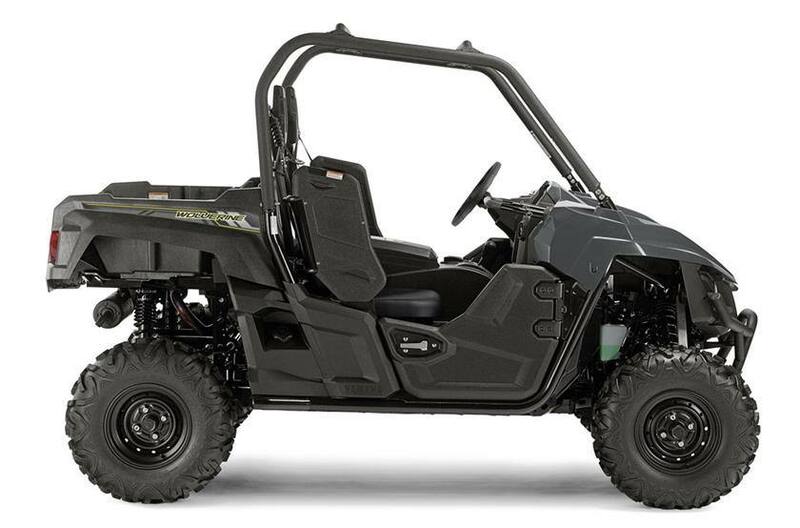 Modern DOHC Engine: Powered by a double overhead cam (DOHC), 4-valve, fuel-injected 708cc engine, the Wolverine is tuned to optimize torque, power delivery and engine character to get through even the most challenging off-road terrain. Yamaha’s Unique Ultramatic® CVT: Ultramatic® fully automatic transmission with high, low, reverse and neutral provides the industry’s most durable CVT transmission. The one-way sprag clutch produces the industry’s most natural-feeling all-wheel engine braking and eliminates “freewheeling” found in some competitive models. A centrifugal clutch maintains constant belt tension and eliminates slipping reducing belt wear and improving durability. Smart Serviceability: Gear, coolant and engine oil drain holes have been designed into the full-length skid plates which make maintaining and servicing the Wolverine very convenient. Compact, High Visibility Design: The front and rear of the chassis – approach and departure angles – are tapered on the sides and bottom of the vehicle to reduce potential contact on tight trails and in rough terrain. With an 81” wheelbase and 11.4” of ground clearance, the Wolverine is designed for best-in-class terrainability, while the body design and low hood gives drivers maximum visibility to navigate tight, technical trails and challenging terrain. Full-Length Skidplates: The Wolverine chassis is optimized to conquer tight, difficult terrain. The class-exclusive full underbody skidplates lets it glide over many obstacles that might hold others back… and those skidplates are swept up more than two inches on each side to maximize clearance at the wheels. Long Travel Suspension: Oil and nitrogen gas KYB® shocks with 9.7” of travel in the front and 10.6” of travel out back deliver excellent suspension and occupant comfort when hitting the trails, along with 5-way adjustable preload to handle varying loads. Off-Road Ready Chassis: Front wide-arc A-arms and full-length skid plates maximize durability, terrainability and provide 11.4” of ground clearance. Flares on the frame protect the rear wheels from oncoming trees and rocks. Exclusive 26-inch Maxxis® Bighorn® 2.0 tires provide optimum traction, durability, comfort and steering precision. Heavy-Duty Towing Capacity: Standard, heavy-duty two-inch receiver-style hitch can tow up to 1500 pounds. Seating for Two: Tough, rotomolded doors help keep mud, water and dirt on the trail where they belong. Work-Ready Cargo Bed: The tough, molded composite bed is rated to haul 300 pounds of gear, with six steel tie-down hooks to secure cargo. 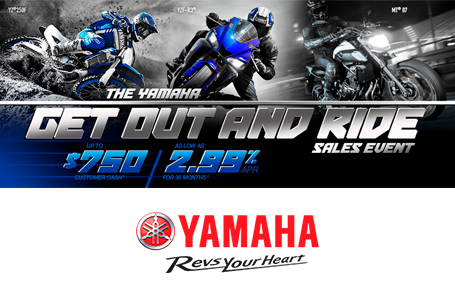 Yamaha Accessories: Available to enhance the ownership experience for the recreational rider or hunter.